There's a nice editorial by Marcia Angell (former editor of New England Journal of Medicine and author of the classic book The Truth About Drug Companies) in today's Boston Globe. Dr. Angell lays out seven specific recommendations for changes in FDA policy, all of which are sensible and will encourage better drug pipelines and safer medications. Before presenting them, I want to highlight her recommendation number 5, which is that the FDA should be able to require drug companies to compare new drugs with existing drugs of the same type. This is especially relevant in the context of an upcoming meeting of the FDA's Psychopharmacological Advisory Committee. Tomorrow it will begin a two day meeting to discuss, among other things, AstraZeneca's application to approve Seroquel XR for generalized anxiety disorder (GAD) and major depression (you can learn the particulars here). Seroquel XR is, indeed, more effective than placebo for both depression and GAD. Nonetheless, the application should be soundly rejected, unless AZ can show that Seroquel XR works better than the dozens of other drugs that are already available for these conditions. Why approve an antidepressant that causes weight gain, diabetes, and cardiac death, when there are equally effective alternatives that cause none of these side effects? I doubt that AZ has done such comparative studies, because they were not forced to do so. From their stockholders' perspective, they would be foolish to conduct such studies, because there's a good chance that Seroquel would do no better than drugs like Zoloft or Celexa. Its disadvantageous side effect profile would be highlighted in a head-to-head trial. And as we know from recent court documents, AZ has done everything it can to bury the truth about Seroquel's side effects. 1. Congress should repeal the Prescription Drug User Fee Act. 2. Consultants for drug companies should no longer be permitted to serve on FDA advisory panels. 3. The agency should see that the post-marketing studies it mandates are actually carried out. 4. The FDA should review generic drugs as fast as brand-name drugs. 5. Congress should give the FDA the authority to require drug companies to compare new drugs with existing drugs of the same type. 6. The FDA should stop approving me-too drugs on the basis of surrogate endpoints. 7. The FDA should prohibit direct-to-consumer advertising for three years after drugs are approved. Not to be hesitant or vague, like I ever would be, but I will go on record as saying if the FDA approves Seroquel as an anxiolytic medication, this will hasten the end of psychiatry as a legitimate profession in mental health care. It is pathetic this is even being proposed. The crass and greed of the companies that have created this drug class I think has no real rival among other drug classes these days, and I'm not talking about psychiatric meds alone here, folks. You wait. If the FDA screws up and allows this to happen, I guarantee we will see a rise in the incidences of anxiety diagnoses being pushed that will blur with the current overdiagnosis of Bipolar disorders we see now. And it will not just be AZ's fault, because I know Lilly and BM will be hot on AZ's heels looking for the indication too. And, too many psychiatrists will sell it, god forbid the PCPs are stupid enough to think they can write for these drugs as first line indications. It is a sad day coming for this profession. The decade of the brain has led to the decay of responsible restraint. Of overmedicating, that is. I agree. And though off post, Alison Bass reports Keller is now out at Brown. Who is next??? I disagree that new drugs must prove superiority (or even equivalence) over existing agents in order to achieve approval. The problem is that we cannot predict what will be the best treatment for an INDIVIDUAL. SSRIs work well in 2/3 of the POPULATION with depression, but what about those in the other 1/3. An agent that acts to treat depression through a unique mechanism of action, that is less "broad spectrum" in efficacy than SSRIs will never be able to show superiority over SSRIs. However, this new drug may be very effective for some forms of depression that are SSRI non-responsive, or provide a lesser benefit than SSRIs, but with a better tolerabilty profile. An example of this type of agent is, I believe, agomelatine. This agent is unlikely to be as effective as SSRIs in the treatment of all people with depression. But it will help some people a great deal, and the tolerability is likely to be better than SSRIs. Requiring this drug to beat or equal an SSRI for approval would kill it dead - it would never be developed. And our patients would be the poorer for having fewer options. Be careful of extending the finding is what is the best drug a priori for a POPULATION, to asserting what is the best drug for an INDIVIDUAL. Public health choices rely on population level assessments. Doctors focus on one individual at a time. There is a difference. If a particular individual needs quetiapine, why not use the immediate release form of Seroquel, which is easier to titrate? Considering the available literature, drug price, potential for generics in the future, and the underutilization of nonpharmacological therapies, there is no compelling reason to add Seroquel XR to the armamentarium of treatments for depression and anxiety. I'll go one step ahead and suggest why not look at perphenazine or haloperidal as generic substitutions for Seroquel, as the former was used as a comparison in the CATIE studies. Huh? What? The opposition says these are not fair alternatives? Why? You may use anonymous as an alias to avoid retribution or hostile retorts by others, but you should at least be transparent to the author of this blog site so he knows what you write is direct, honest, and not selling stock/profits for your own personal agenda. Trust people on the internet? No, I do not. 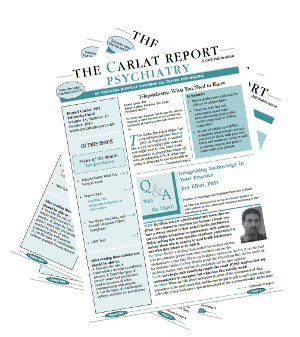 You can accuse me of not being forthright because I use an alias of therapyfirst, but Dr Carlat knows who I am and I hope he would vouch for my comments if fair and reasonable. So, there! Anonymous (II)'s point is well-taken: a drug need not 'beat' existing drugs to have clinical value. It seems reasonable for FDA to require equivalent safety, a standard which quetiapine would likely not meet, or perhaps evidence of efficacy in a population poorly responsive to existing drugs. The irony here: for reasons of statistical power, doing such studies with active comparators will likely require exposing many more people to 'experimental' treatment than placebo-controlled studies. Good Start, Marcia, but you still fall short. 8. As I've posted previously on this blog, Every single scientist at the FDA must go. No one currently there has been left uncompromised. Leaving the present roster untouched is the equivalent of tying the hands of the new director and deputy behind their backs and throwing them into the deep end of the pool. It's a set up. 9. Me-too drugs get a maximum of two years patent exclusivity. Hopefully that will encourage innovation rather than laziness. 10. Generic drugs should be subject to a higher standard of bioequivalence. 11. Trials should extend for longer periods so that the failure to conduct post-marketing studies is less of an issue. 12. Study protocols must be made available to the FDA before a drug can be submitted for approval. No crying, "it's proprietary". If none of the advisory panel is connected to industry, there is nothing for the companies to worry about. 13. Use some of that stimulus money for comparative effectiveness research and fund some independent government researchers to attempt to replicate the results of some of these studies. 14. DTC has to be outlawed. Period. There are only two countries on the whole planet that permit it to go on. There's a reason for that. It amazes me that Seroquel is being called an antidepressant at all. Once an antipsychotic always an antipsychotic, unless a marketing team gives a company a fresh marketing scheme. Abilify as add-on for depression, and next up Seroquel will be. The magazine DTC ads for Abilify are for add-on for depression now and just a couple of years ago it was advertised for bipolar. This is the beginning of broadening of dx's and a door wide open for antipsychotics used in replacement of antidepressants and the new DSM which will be loaded with dx codes that will be quite useful for the Abilify/Seroquel add-on treatment. Social anxiety will be an off-label use for Seroquel, nothing like a little brain fog to take the edge off of life. At Passover Sedar tonight, a family member who is an internist tells me Astra Zeneca had a lunch with a psychiatrist speaker recently selling Seroquel for depression, and if I heard the person right, a pitch for pending anxiety too. As I said earlier, if PCPs are foolish enough to think this is a first line drug, I only hope liability extends to them as well. When drug reps came to doctor-land, let my psychiatrists go!!! I would really like to see a study comparing zolpidem with quetiapine for depression/anxiety. I wonder if a lot of the benefits come from actually getting a good night's sleep. Of course that's less of an argument for this brand spanking new "XR" version I suppose. 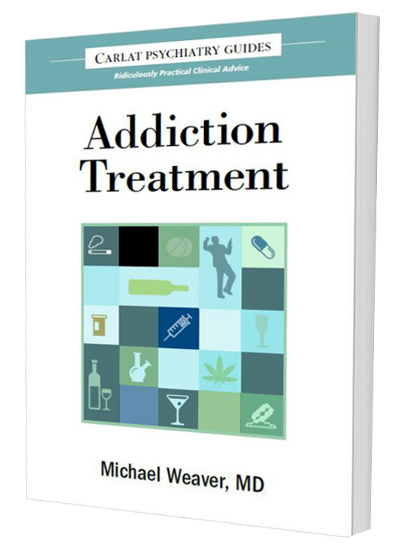 Check the LA Times for a good article on this issue -- link at pharmagossip. I would give you the link but I'm traveling. Excellent point, Anonymous ("The problem is that we cannot predict what will be the best treatment for an INDIVIDUAL.") You sound like an astute, compassionate, experienced physician -- a rare species among blog commentators. And I vehemently disagree on number 7. How dare Angell patronizingly prohibit the public from learning about these medications for three years. Too many physicians are ignorant luddites. Patients have a right to know what's available as soon as it is available. And a "second" to wetnurse's #10. With psychotropic medications, in particular, it's often a narrow window that works best. The current margin with generics means that patients suffer all sorts of problems, especially if their drugstore changes suppliers frequently. "On an unrelated note, to therapyfirst's point: maybe conflict disclosures should require reporting of % of income derived from talk therapy (or marginally-evidence-based talk therapies?)" A lack of curiosity about how these medications will be most helpful to patients is an extremely disturbing quality in an alleged physician. And TF might state fear of retribution as reason for lack of transparency. Yet, given his/her propensity for taking mean-spirited potshots at others who are forthcoming, it seems more a means of convenient cover. I heard, maybe not correctly, that around 60% of people sitting on the FDA advisory boards, are connected to the drug companies, in some shape or form. Keep displacing and projecting, Ms Pera. I am a man, practicing on the East Coast of the US, have been Board Certified (recert last year) for 11 years now, and have a completely clean record (up to this writing) as an MD in the state I have been practicing in for almost 16 years now. Your lack of responding to my request for SOME transparency on your part is due to, what, you will be exposed as the shill for a pharma(s) org or other flagrant profit motivated org in health care? Note when you are honest and direct, the truth is easy to put up front. Your lack speaks volumes, my dear! As for LocalDoc, I hope I am not misinterpreting your comment by replying I would love to provide more time as a therapist, but insurers and a deteriorating financial environment make it hard for people to pay me the $125/hour I ask for 50 minutes of psychotherapy. And yes, I do take great offense to your label of "marginally evidence based talk therapy" label. Evidence based infers reliability based on who's funding of the studies? Pharma? Universities to get a label on the treatment process? Let me just say one thing to all you defenders and apologists for this pathetic push for pharmacology trumping psychotherapy. Talking is less invasive, if done correctly and responsibly, and people need to take responsibility that their issues are not correctable with a pill alone. I challenge any provider who comes here to state for the record they see more than 70% of their patients get and stay better JUST on pills for one year or more. That is the evidence based results I would like to see someone put in print at a responsible site. Won't be holding my breath waiting for this to appear. You are an attack dog, Ms Pera, until you legitimately show otherwise. And readers see it! ""I challenge any provider who comes here to state for the record they see more than 70% of their patients get and stay better JUST on pills for one year or more."" Thank you, thank you, thank you, for putting into words what I have wondered. 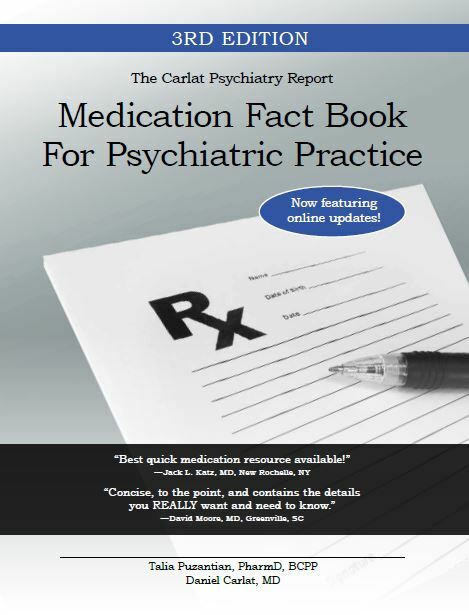 In the latest blog entry that Dr. Carlat posts about regarding Abilify, a psychiatrist was quoted as saying that ADS have a 50% effectiveness rate. He didn't sound like one of those scientologists and yes, I am being sarcastic. Since I have seen on other sites that effectiveness is determined as a 50% reduction in symptoms, that really isn't stellar in light of all the side effects. To add to your excellent comment, if clinicians do take you up on your challenge, they need to define what effectiveness is. It seems the current standard is quite vague. Gina Pera, as you know, TF and I have had some vigorous debates including some of the issues you have raised. But this psychiatrist has definitely improved his posts and should be greatly commended for that. Just because you don't like what he says doesn't mean he is flaming people. In my opinion, he hasn't been doing that. Hmm, I could turn your point around about lack of curiosity on TF's part on how the drugs work by stating most psychiatrist have a lack of curiosity about side effects. I know someone who is as med compliant as they come but complained that an antipsychotic caused nausea. This person became admittedly belligerent when the psychiatrist attributed the complaint to the mental illness label. Who wouldn't in that situation? The person ended up being forcibly committed and now has that on her record for the rest of her life. I understand that situation is quite common and is not an exception to the rule. Anyway, it sounds like TF, unlike most psychiatrists, has clearly done his homework on what meds work and and don't. Instead of condemning him, he should be greatly applauded. Anonymous wrote: I heard, maybe not correctly, that around 60% of people sitting on the FDA advisory boards, are connected to the drug companies, in some shape or form. Why is this sad? In what field should these board members be working exclusively? If you eliminate drug-company scientists, you are eliminating a huge amount of brain power and expertise. Well, the problems is, providers who can achieve this outcome usually have little time to kibbitz on blogs, attacking people and issuing rigid dictums that sound straight out of the 1960s. It's because they're, you know, working and studying and keeping up with the literature. Oh, and listening compassionately to their patients. No, what the findings mean is that only the minority of treating physicians follow best-practices protocols. So, if you're not getting a good success rate with, say, patients who have ADHD, perhaps you should stop blaming pharma and the patients' psyches (not to mention their resistance to spending years being bullied by you behind closed doors) and start learning how better to prescribe and titrate. The stories of poor psychiatric care that I hear on a regular basis would curl the hair of the good doctors here. You probably would not believe what goes on in your colleagues' offices. But I hear them too often. That's why I'm not intimidated by people who obviously are not putting patient welfare first and foremost and doing their homework. They should know that patients increasingly are comparing notes and names, and these sub-par docs can't hide in their arrogant posturing, behind closed doors, for much longer. BTW, anonymous posters should know they might not remain anonymous for much longer. The laws regarding internet anonymity are changing. Gina Pera is affiliated with CHADD. Enough said. Thanks for that vote of support, Anonymous (there are so many of you, it's hard to keep track!). I am indeed proud to be a long-time volunteer for CHADD (http://www.CHADD.org). All CHADD chapters nationwide are run by volunteers. Almost universally, these people have previously suffered on the learning curve of ADHD, and they seek to help others in their struggle to find support, education, and solid, evidence-based strategies. If you have ADHD in your life -- your own or a loved one - you typically have little free time to squander. So, the dedication and compassion of these volunteers is amazing and extremely touching. I feel privileged to have gotten to know so many of these volunteers over the years. I don't have ADHD and I have no children with ADHD. I make no money and seek no fame in being an advocate in this area. One thing simply led to another. But it is extremely rewarding to connect with people who have been failed by everyone else and be able to offer information that helps them elevate their lives. It is also extremely empowering to educate these folks in self-advocacy, so they are no longer vulnerable to bullies or ignorant physicians. I've found it a rewarding activity, one that focuses on healing instead of destroying. Since the lawsuits (U.S. and Canada) filed against Astra Zeneca about the burrying of information regarding Seroquel is now seeing the light of day in major media outlets I am becoming concerned. I have been taking Seroquel for 3+ years, my current dose is 300 mg daily and around bedtime. About 2 years ago my psychiatrist prescribed the XR version of Seroquel. Also, I live in Canada so I do not know how our health care differs from the U.S. Since I am no longer considered "sick" and I have not suffered from an "episode" in about a year and a half - my psychiatrist passed me off to my GP who does not really know anything about these types of medications. Otherwise she is an excellent doctor, but she seems ill advised regarding psychopharmaceuticals. On the otherhand, you may be wondering why I haven't asked my past psychiatrist about these startling revelations. Well, the answer is simple, I feel most psychiatrists (I have dealt with 3 in the past 5 years that I've been struggling) are reluctant to tell patient's a) why they are prescribing the medication and b) what these medications are used for. I do not know my "official diagnosis" and I do not even know why I am taking these drugs. I just know that I have to take 200 mg of Zoloft, 300 mg of Seroquel XR, and 1 mg of Ativan as required (I try to basically never take the Ativan). Should I be concerned about taking Seroquel for such an extended period of time? I have experienced a fair amount of weight gain over the past 3 years (20-25 lbs) and cravings for carbohydrates/sugars that I never had before. I ignore the cravings as much as possible and I have always been a healthy eater with weight never being an issue (until now). I am just worried that my psychiatrist prescribed it to me without knowing the real risks. It seems anyone who has suffered with mental health issues is now taking seroquel, which makes me scratch my head and wonder. I like to pride myself in my education (I have a Master's degree in English Lit. and am applying to do my PhD) and my desire to learn about various issues. However, in regards to probably the most important issue, my health and well-being, I feel completely left in the dark and I do not know which information to trust. I would like some honest feedback from a community of individuals who seem educated on the topic. I have gone to other message boards, but they seem to be full of individuals who are taking the medication and who aren't helping to stop the tranmission of misinformation. Johns Hopkins: Read My Lips--No More Gifts!